When East German border guards tromped through the tight train corridor, stopped my study abroad program director and pantomimed the click of a camera, I knew I had messed up. Big time. Standing enough feet away, I pressed close to the passageway window, and inched my camera down into my coat pocket. 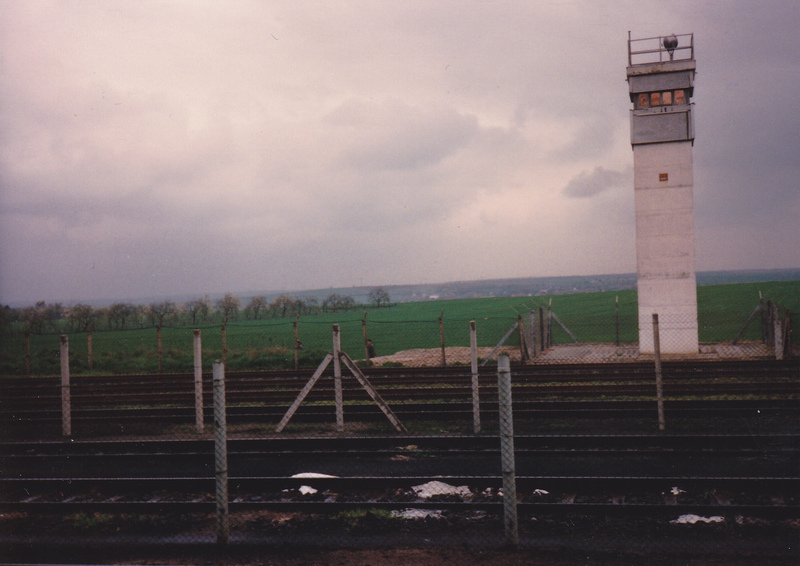 Moments earlier, as the train slowly rolled across the border from West Germany into East Germany and communism, I had snapped a picture of a patrol tower. Really bad move. It was 1989, during the Cold War, and I had left the flash on. After watching the corridor confrontation, I panicked. Clearly, someone in the tower had seen the flash. Would the guards figure out I took the photo? Would they take my camera? Worse, would they take me? Did East Germans send people to Siberia? Could my parents wire a “border crossing fee” to a checkpoint behind the iron curtain? Ultimately, nothing resulted from my major lapse in judgment. Since it was just seven months before the “fall” of the Berlin Wall, I’m guessing the East German government had more pressing matters than throwing me in a gulag. Realization in East Germany: The photo faux pas confirmed that it didn’t matter that I was an American and guaranteed unalienable rights in the US. I was an American in a communist country, and border guards in East Germany didn’t have to acknowledge my freedom of expression or any other US First Amendment rights. However, that moment, along with the idea of traveling to a region that was constantly presented to Americans as threatening, dangerous, and essentially evil, enticed me, and I couldn’t wait to see more. Forbidden photos in East Germany — Verboten! Border patrol tower between East and West Germany. My forbidden subject. Let’s face it — it’s easy for an American to flub up when visiting a communist country. So many rights we take for granted are just plain illegal — like taking photos of border patrol lookout towers. Actually, this is probably frowned upon in the US, too. 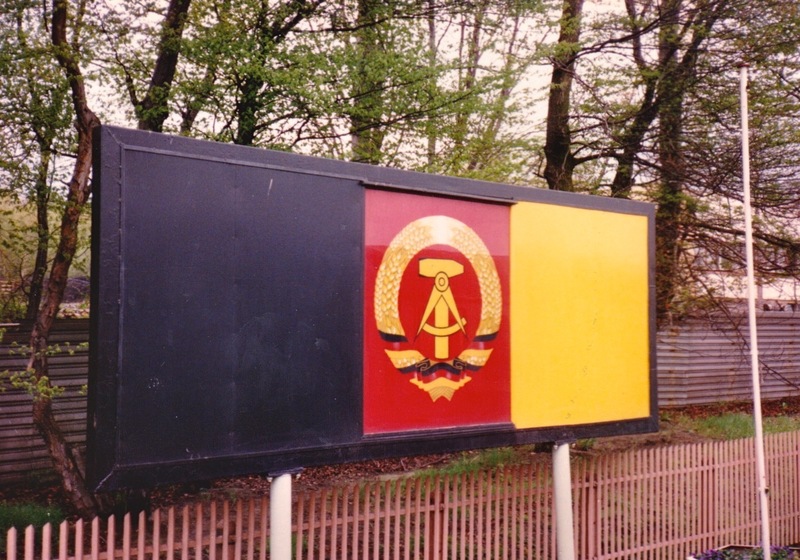 Definitely, however, in East Germany in the late 1980s, taking photos of a guard tower was a bad idea. This may seem like a definite “duh!” to seasoned travelers, but for a college student who, at times, exercised bad judgement anyway, it was a cool image for a photo album. I was the college student and the incident happened while on a train trip. I was with fellow students who were studying abroad in the Netherlands. We were on a field trip, basically, with our Dutch history professor.